JTS offers a wide range of wired microphones fit for any style or application there is in music or performance which can handle all your recording and sound-reinforcement needs. 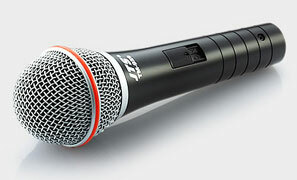 JTS produces some of the best microphones for singing available in the market. 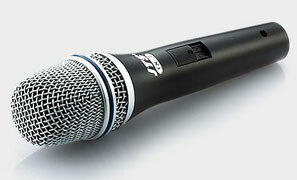 The JTS TK-350 Dynamic Cardioid live Microphone, equipped with the most popular capsule, provides excellent performance for lead and backup vocals, and instrument making at a moderate price and is comparable in sound quality to many microphones costing much more. The magnetic reed type On/Off switch provides silent switching and can also be placed into a locked position to prevent accidental or unwanted tampering. The internal pneumatic shock mount system assures low handling noise whether used in a handheld application or when placed on a microphone stand. 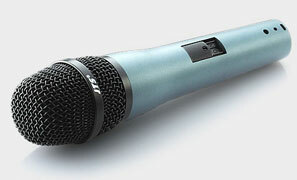 The JTS TM-929 dynamic microphone for singing offers great performance at an entry level price. Featuring a wide frequency response of 50Hz-15kHZ, it is an ideal choice for the vocalist who has a limited budget, but wishes not to sacrifice good sound quality. The rugged die cast body, internal shock mount and magnetic reed type on/off switch also make it a great choice for various applications. 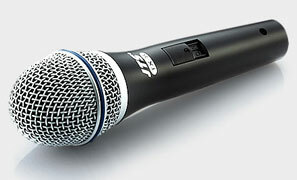 The JTS TX-7/TX-8 Dynamic are the best microphone for singing and they help in delivering the best performance at a modest cost. The tight cardioid pattern provides excellent off-axis rejection minimizing feedback and undesired background stage noise. The TX-7/TX-8’s internal shock mount greatly reduces handling noise when used in a handheld application or when placed on a Mic stand.